You are welcome to use these resources to re-write your leadership story and to anchor your leadership growth for 2017. Remember that you are the expert on you - and you have the power to choose differently. So go ahead, dare to begin. Please acknowledge the author or owner if you use or share them. Keep your WWC Womenar Leadership Story Mudmap handy and work on the next small action you could take. I have a squillion other books that I'd recommend but these are the ones I mentioned on the day. The Victorian Governments recently released Gender Equality Strategy – an outcome of the Royal Commission into Family Violence and a good framework to have in mind - http://www.vic.gov.au/women/gender-equality/a-victorian-gender-equality-strategy.html. This is high level and focuses on system change. It does make reference to shifting embedded and harmful attitudes but doesn’t address unconscious bias directly. The action plans and the Prevention Strategy currently being developed should do that. Thank you for being a part of our inaugural Womenar. 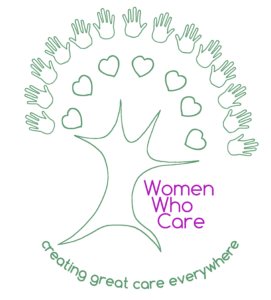 We hope to see you at another Women Who Care event in 2017. The world needs you and your leadership. We'll let you know when the new website is up and the next event is booked. Have a fabulous festive season.